Overview: Homeways is a 4 star Bed and Breakfast with beautiful seaviews from our breakfast room, where we offer full or continental breakfasts. The 3 en-suite rooms are tastefully decorated and each have their own entrances. Homeways is 10mins drive from the Absa Stadium. 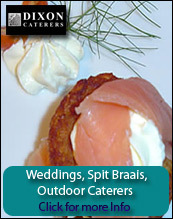 There are restaurants within walking distance and La Lucia and Gateway shopping malls are very close by. Umhlanga is a mere 5 minutes away.